Venice, Calif. – The President of the United States Barack Obama stopped by to greet volunteers and help call voters at Candidate Ted Lieu’s Venice campaign offices. 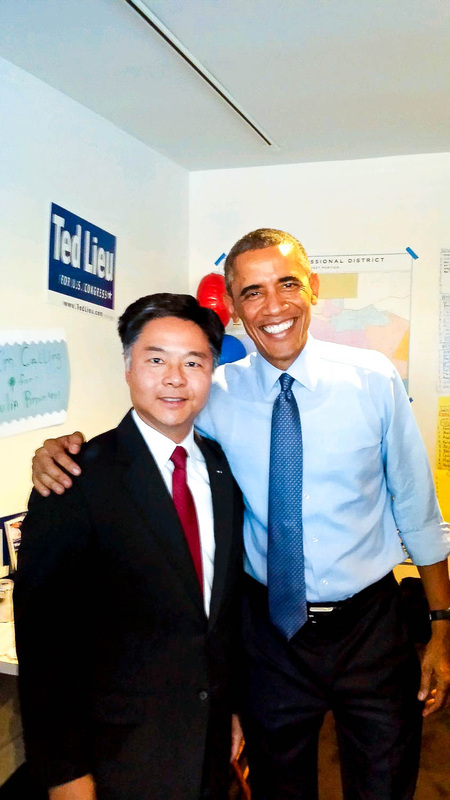 President Barack Obama visits congressional candidate Sen. Ted Lieu at the Venice California campaign headquarters. Photo courtesy of Ted Lieu for Congress. Also in attendance was DCCC Chairman Steve Israel.